3. Life and times of Rembrandt, R.
3. Life and times of Rembrandt, R. v. R., originally published as "R. v. R., the life and times of Rembrandt van Rijn"
This beautiful, 72 page book is a great gift for art lovers and Christians. 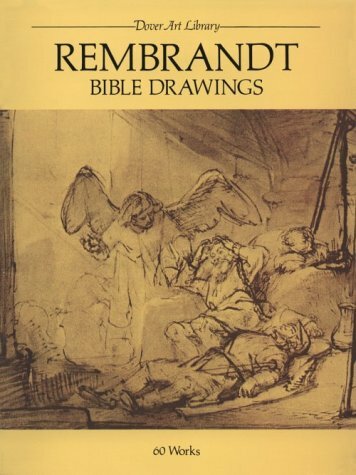 Its introduction explains Rembrandt's possible inspiration and some details for each work. The text of the KJV Bible gives the book a devotional quality. Both text and art make for good meditation during a busy Christmas season. My favorite is the drawing on the book's cover, shown in full on page 27. It's a tender portrait of Mary and Jesus, possibly modeled by Rembrandt's wife and first child. I think knowing that the child died after two months makes this drawing all the more poignant to me. Jesus, God Almighty incarnate as a human, was just as frail as Rembrandt's first born. 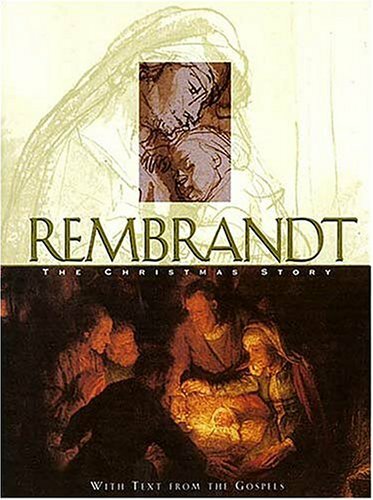 This volume is a wonderful marriage of art by Rembrant and text from theGospel infancy narratives.Thus the book revolves around well knownepisodes: the annunciation, Mary's visit to Elizabeth, the birth of Johnthe Baptist, the birth of Jesus, the angel appearing to the shepherds ...etc.Some of the texts have multiple paintings and etchings associatedwith them; this has the effect of allowing the art more than the word totell the story.This is an excellent book for anyone interested inreligious or biblical art. Rembrant had a pet monkey! Dogs, a monkey, the Amsterdam skyline, and a little boy who wants to grow up to be just like his daddy... this charming book will inspire young artists and daddy's of little boys, too! A great deal of historical information is worked very naturally into the text. A good book for every budding artist. A great way to stimulate a child's curiosity about Art History! The story contrasts the intensity of the father with child's point of view. Nice layering of the story and beautiful illustrations. This story conveys the human story of an iconic artist through the developing relationship with his son. 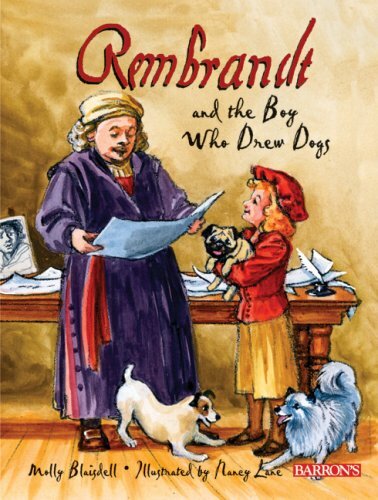 This book makes Rembrandt relevant and relatable to kids by presenting the artist, in part, from the point of view of his son. The story makes us sympathetic to the son, Titus, and his own artistic development while showing a good view of life in the mid-seventeeth century and cleverly integrating the artist's work into the illustrations. Great for budding artists, young dog lovers, and history buffs alike. This sensitively written book combines colorful illustration, historical information with a storyline that appeals to children and adults alike. You and your children will cheer young Titus on as he gains confidence and learns to draw with the help of his father, the great master, Rembrandt.This is a wonderful gift for the artist in all of us. The great 17th-century Dutch artist Rembrandt van Rijn left usso many arresting self-portraits, painted at every stage in hiseventful life, that his distinctive face and bearing are a familiarpart of the 20th-century cultural landscape, a recognizable presencein galleries across Europe and North America. Nonetheless, the artisthimself remains an enigma. Rembrandt was a notoriously difficult manand an inveterate risk taker in life and art: his aspirations to agrandiose Amsterdam lifestyle in the heyday of his popularity as apainter of portraits and large-scale historical works bankrupted him,and he died in relative poverty. His personal effects and treasuredcollection of paintings and natural rarities were sold off anddispersed, leaving the historian with a tantalizingly scant body offragmentary records around which to build a convincing biography. In Rembrandt's Eyes, Simon Schama--the leading historical craftsman of our era, with a career-long commitment to Dutch history--succeeds with consummate skill in bringing the heroic painter of such masterpieces as The Night Watch and Portrait of Jan Six vividly to life. 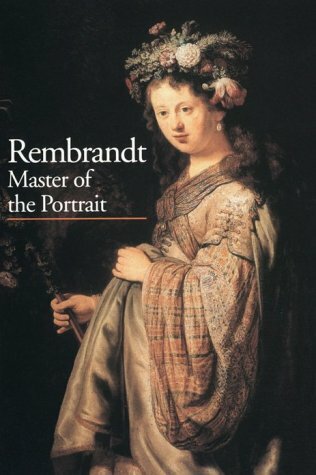 Returning to the bustling Dutch world with which he first made his reputation in the bestselling Embarrassment of Riches (1987), Schama re-creates Rembrandt's life and times with all the verve and panache of a historical novelist--while never for an instant losing his scrupulous grip on recorded fact and detail. The telling surviving fragments of archival information about Rembrandt's personal and professional history are skillfully embedded in a rich, dense tapestry of the commercial whirl and political hurly-burly of the 17th-century Low Countries--a divided territory, split between the Catholic and Protestant faiths and the contested powers of the Spanish Hapsburgs and the Dutch Republic--with the tentacles of the tale reaching into the most unexpected shadowy corners of European love and war, aspiration and intrigue. 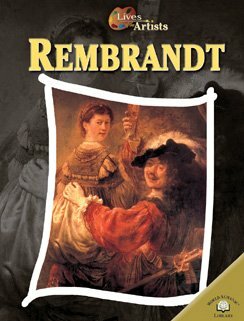 Rembrandt's Eyes is, in fact, two biographies for the price of one. From the outset, Schama contrasts the life of Rembrandt with that of his older, equally talented countryman Peter Paul Rubens, whose meteoric rise and sustained success as a society painter forms a revealing contrast with Rembrandt's unhappier relationship with fame and fortune. The comparison is a telling one. Where Rubens furnishes the wealthy and powerful with glorious reflections of, and visual foils for, their social and political aspirations and glory, Rembrandt can never resist testing the envelope of taste and stylistic acceptability. His challenge to his clients to embrace the shock of his painterly experiments with technique, texture, and composition ultimately produced his downfall. The Amsterdam town council took down his The Oath-swearing of Claudius Civilis, rolled it up, and returned his masterpiece to him to be cut down in an attempt to sell it to a suitable buyer. Simon Schama is a true gift to the historian and art lover alike. His masterful prose, detailed yet captivating storytelling are unrivaled. He has a very pleasant bias in favor of intellect and, as he sees it, truth. I never tire of him and wish he were more in evidence as a commentator in other media, including TV. I'm going to be brief here. First, my in-depth knowledge of the Dutch Masters is limited, so I will not comment on the veracity of Mr. Schama's information on this. However, the book was very easy to read, even for a book of such depth (and pages!) I actually found the chapters on Peter Paul Rubens to be the most fascinating. Contrasting Rubens and Rembrandt on opposite sides of the religious divide of the Lowlands was very interesting and gives us great insight on an era mostly forgotten by modern people. 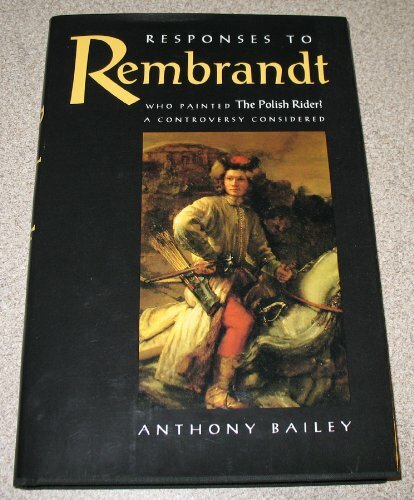 I am more an historian than artist, so at times his commentary (while obviously based on a great love of art) on the paintings of Rembrandt went on a bit much for me, but I certainly can see where a true art historian would love these passages. 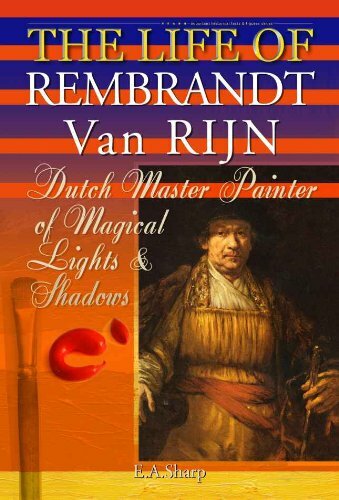 Overall it is a wonderfully fascinating book that reveals so much about the life and times not only of Rembrandt, but of Rubens, Constantine Huygens, and the triumphal and sad history of the Revolt of the Netherlands. There is no better writer about art or art history than Simon Schama.He helps me see things and then I think "Of course, why didn't I think of that"He has a way of making obscure things clear.All of his books are first rate. Being Dutch, I remember as a kid how my teacher was mesmerizing about how wonderful it would be to have a big enough telescope to catch all the emitted light from long ago and to be able to see Rembrandt paint. I did not know why then, but now I do agree. How wonderful it would have been had he only lived 300 years more to light up all the museums in the world! This book is about, to my opinion, the best painter of mankind, his life and work. It is also a dual biography about Rubens, since he was so important for Rembrandt. 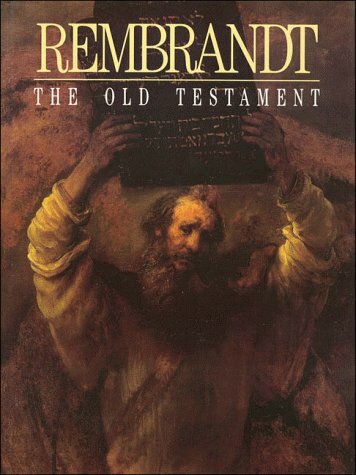 The book works nicely chronological and winds its way through the younger years of Rembrandt til his last years. In the mean time we also learn a lot about not only his life in Leiden and Amsterdam, but also about the history of Holland of the 17th century. It is absolutely great to learn about for instance the Night Watch, for whom it was painted, who the people are on it, why it was so revolutionary and still the most stunning 17th century painting. 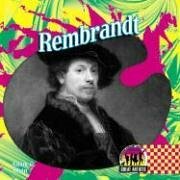 I always wanted to know, as far as recorded history allows us, about the background of his paintings; who ordered it, did they and Rembrandt like it themselves? And most of all: analysis of the paintings themselves: what 'effects' are used, and how? This book goes into wide details of this all without getting repetitive or boring. Rembrandt is unique among all painters in his combination of talent and 'raffinement'. He could do anything: super precise works, impressionistic style where the paint itself was the 3d effect, portraits, group portraits, history paintings, landscapes, the best etches off all time. His touch and well-aimed strokes immediately got to the essence. His works under scrutiny come out even more unsurpassable and amazing. It is true that none of his students ever came close to his talent, and some of them tried for the rest of their life to master just some aspect of his art (for instance the light effects) while Rembrandt moved on to a more 'rough' style, although it was justly called in this book deceivingly easy to imitate, and of course, 'rough' here does not mean carelessly painted. Basically he is the first (and best) impressionist in the history of painting. I have been at the Rijksmuseum many times, and it does not matter which work you look at: Jeremia, his mother reading, the Jewish Bride, his hypnotisingly beautiful self portrait at a young age, it just shows that this is a once in a mankind kind of thing. Rembrandt has shown us once and for all what the art of painting can do, how it can lift our lives by trying so dramatically to imitate it. Indeed looking at his work, it almost seems that his paintings are triumphant over reality. This book is a great read and the many colour pictures of his work are, needless to say, a pleasure to look at. Only minus is, that Schama to my opinion is a little too modest about Rembrandt's genius. One of the pleasures of reading books from your own library is that they are always there for return visits.Reading Hockney's 'Secret Knowledge: Rediscovering the Lost Techniques of the Old Masters' stimulated this reader to probe more deeply into some of the venerated painters.Simon Schama's fine book REMBRANDT'S EYES is like an old friend, an excellent resource book for facts about Netherlands painting, social and political history that so affected the works of the two featured painters Rembrandt and Peter Paul Rubens, a page-turner novel, and a catalogue of brilliant reproductions of paintings.This book satisfies - even more the second time around! A hefty book at over 750 pages, there is not a page that Schama does not use his charming style of writing to slowly inform.We learn about the atmosphere into which Rembrandt was born, follow his works from the earliest examples through his entire career, encounter his passion for elegance and his fall into poverty, and understand his envy of the creatively and socially successful Rubens.Not a book of gossip, this, but instead a biography well documented in a fine bibliography (no mean feat for a history of a great man without much written contemporary documentation!) and a survey of illustrations that augment the story as well as any yet written.